Boxing For Books is a charity event to raise support for the No Hooks Before Books program, combining academic development and athletic training under one roof for at-risk youth in Baltimore. 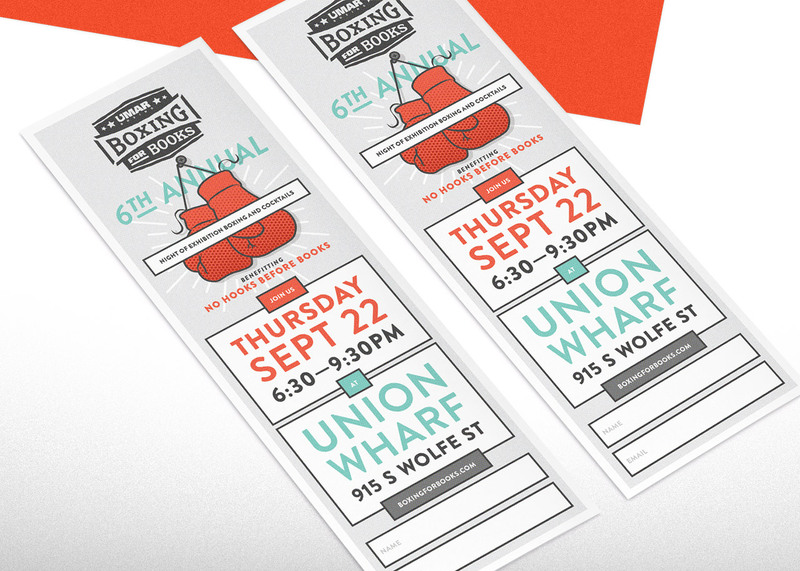 With over 6 years of fundraising featuring great local food and drinks, Boxing For Books has become the go-to event of the season. The Bozzuto Group reached out to YDI to be a sponsor for Boxing For Books in 2013. YDI happily obliged, and also agreed to create the fundraiser’s look. Designing a new look for each year, YDI settled on a comic book theme for 2016’s event. Bright duo-toned graphics match with a bold, rounded sans-serif to create a playful look. 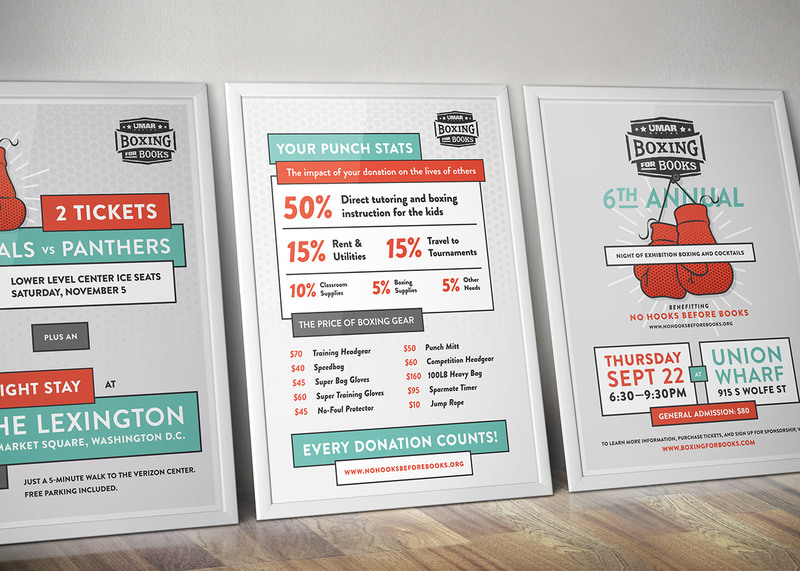 Boxing For Books’ website breathes life into the brand by including graphic details and subtle animations. Updating the website to match the visual theme for each year gives the audience something to look forward to.